The easily recognizable vocalizations of the coyote (Canis latrans) are vital for indicating location, establishing territory, or coordinating group hunting. 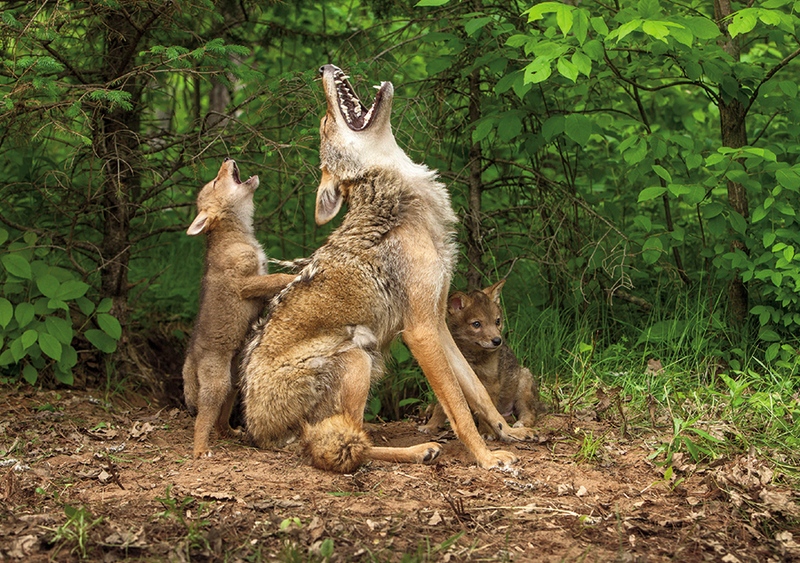 This mother gives her pups a howling lesson, probably in preparation for their first hunting expedition approximately eight to thirteen weeks after birth. The pups will soon acquire a full vocabulary of howls, yips, barks, growls, yelps, and huffs. Eventually the family will disband, with the males striking out to establish their own territories and the females staying behind with the pack.